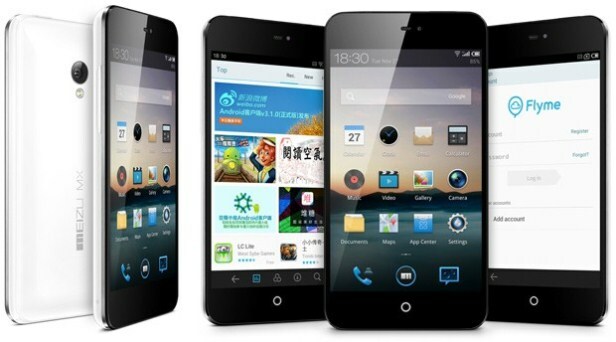 Launched in December 2012, the Meizu MX2 is one of the most famous and affordable smartphones from Meizu. Coming with a capacitive touchscreen, the phone is known to function very well, according to customer reviews. However, no matter how careful you are with this high quality smartphone, it can sometimes experience minor software issues. If that’s the case then the best advice would be to hard reset the Meizu MX2, in order to bring it back to factory settings. By master resetting the phone, users will get a brand new operating system and a blank memory with no applications, videos, music, pictures, contacts or any other data. This means that at the end of this procedure, all the information stored on the smartphone will be erased, which is why making a backup is recommended. To avoid losing anything important, this article is not only going to take you through the necessary steps to reset the phone, but also show you how to create a backup. Running on Android OS v4.1.1, also known as Jelly Bean, the phone comes with applications such as predictive text input, organizer, photo viewer, voice memo and so on. Being equipped with a quad-core 1.6 GHz Cortex-A9 processor and 2 GB RAM, the Meizu MX2 can serve for a variety of purposes. Some of these are taking pictures and recording videos through its primary 8 MP camera, as well as the secondary 1.2 MP one. In terms of internet connectivity, the phone has a Wi-Fi 802 hotspot and comes with Google Search, Maps and Gmail included. Moving on to the procedure that restores the Meizu MX2 to factory software, the first step that needs to be taken is saving all important data on it. To make a backup of the phone, all that needs to be done is connect it to a computer via the USB cable, then create a folder with all the data you need to copy. Alternatively, you can also download and install the Phone Copy application, specially designed for Android that will guide you through all the steps. From the Main Menu, go to the Settings folder. Scroll down to the About Phone section and choose the Storage option. Choose the Factory Reset option under Storage and wait for the phone to reboot. Fully charge the phone and switch it off. Simultaneously press the Power button and the Volume Up key until you enter flash mode. Use the Volume keys to scroll down then tick System Upgrade and Clear Data with the Power button. Scroll down to Start with the Volume Down key and confirm using Power. The phone will reboot and be ready in a few minutes.